Some sites ask for an extra login field when signing in, which could be an ID number, PIN code or secret phrase, for example. This is primarily for banking websites or organizations because it gives them better security. You can use Dashlane to automatically log you into these sites and this article will show you how! There are two ways to do this: simply log into the site and Dashlane will automatically save your login or you can manually create the credential in Dashlane. The first step is to log in to your website like you would normally do. You'll see gray impala logos in the login fields. This means that Dashlane has recognized these fields but doe not yet have any information to fill them automatically. You will see a pop-up asking you if you want to save this login in Dashlane. 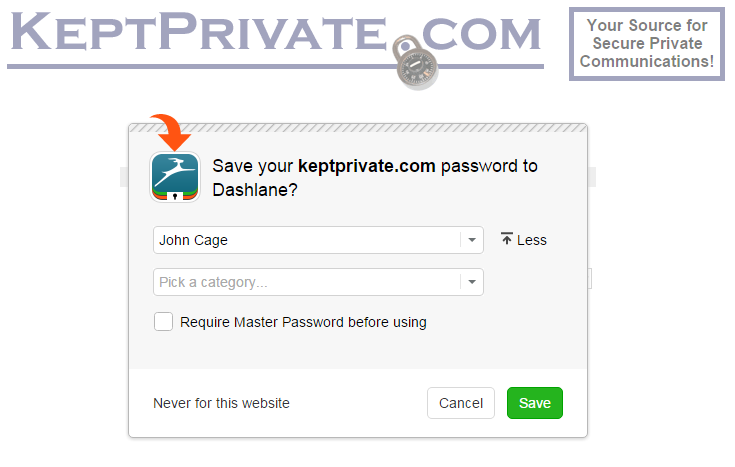 Click on save if you want Dashlane to remember this login for next time you visit this site. You can check the details for this login in the Passwords section in Dashlane. You'll see the URL, the name of the credential (the website domain, by default), the three fields needed for this login, as well as other options including the category and whether you want Dashlane to automatically log you into this website. Change any details you want and click on OK.
Next time you visit this website, Dashlane will automatically log you in with all three login fields. If you prefer, you can choose to add your multiple field login manually instead of doing this automatically. You can do this in the Passwords section in the application. Click on Add New and fill out all the details: URL, give your credential a name, and fill out the three fields needed for the login. 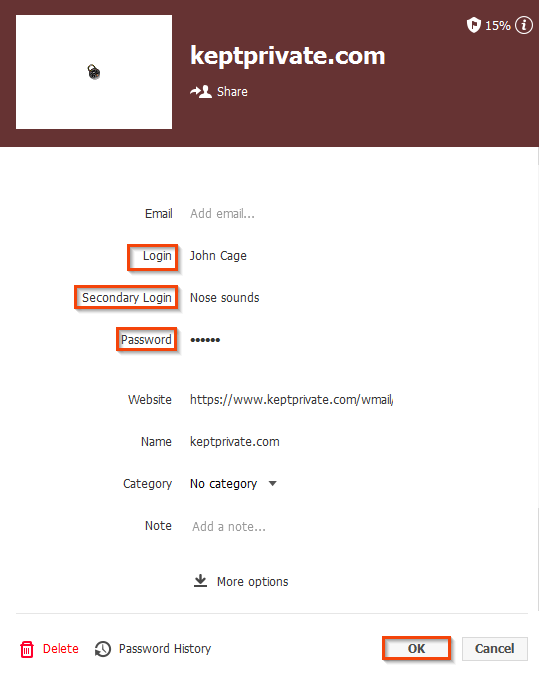 The "Login" field will always be your username or email, the "Password" field will always be your password and the "Secondary Login" field is the extra third field used for the login on the site. The order in which they appear on the site is of no importance to how Dashlane records this information. When you're done, click OK.
Click on the play button on the icon and you'll be taken to the site and automatically logged in. Presto! Dashlane will automatically log you in to your site. Pages that have a username and password on the first page, then a PIN on the second page, like with USAA.com, are out of scope at the moment. This is because Dashlane always wants to put a password on the second page. But there’s a work around: create a second login for that site, and call it PIN so you can tell it apart from the original one. 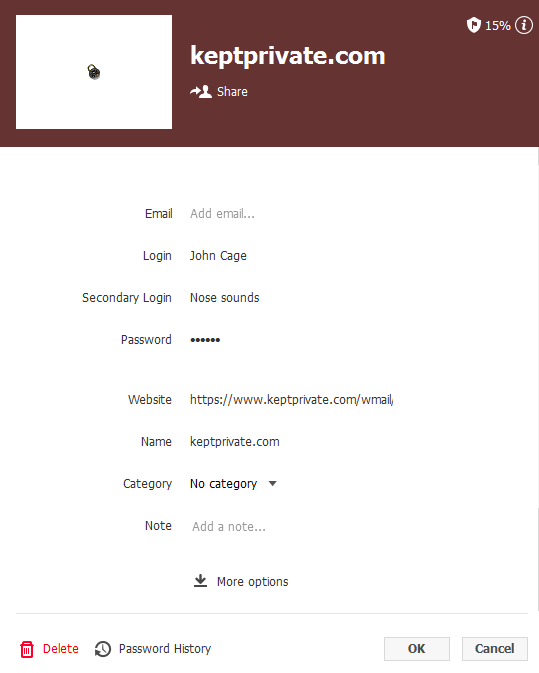 Then put anything in the login field but put your PIN number in the “Password” field. Then, when you get to the second page, you can click in the field and choose your PIN login and Dashlane will fill in your PIN.